I have a Compaq desktop computer running Windows 98 SE. It's been handed down a few times, and I don't recollect it ever being online but it does have a version of Firefox from 2007 so I could be wrong about that. I recently tried using the internal modem on the computer - a 56k Compaq modem - for the first time. The modem shows up in certain system dialogs but none of the dialers - HyperTerminal, Phone Dialer, etc. would successfully connect. I thought perhaps the modem was broken. I had a Dell Dimension 8200 laying around that had Windows XP, so I opened it up and took out its internal modem, and the NIC, for good measure. I installed both in the Compaq computer. It didn't boot the first time but I cycled the power and it booted up fine, more or less. The "Add New Hardware" wizard did not open by default. I ran the wizard but it didn't detect any new hardware. Nowhere in the system was either the NIC or the second modem recognized. I thought perhaps maybe I didn't have the right drivers, so I decided to load some on. The problem is, since this computer is 20+ years old, it only works with USB 1.1. My research shows that there are third-party drivers available that allow Windows 98 SE to work with USB 2.0 devices including flash drives. I have a PS/2 keyboard and mouse so flash drives here are my main concern. To test it out, I plugged a flash drive into the computer and the Add New Hardware Wizard opened and prompted for drivers. I then loaded the floppy disk and manually ran the .exe file for the first driver. It installed and rebooted. But when I plugged a flash drive in again, the Add New Hardware Wizard no longer opened automatically, and the flash drive was still not recognized in my computer. I have nothing against floppy disks, really, but being able to use USB flash drives would be far more practical. This wouldn't be as important if I could get one of the modems to work, but right now neither is working. I believe someone is getting an external US Robotics 56k modem for me on eBay at the moment, and my hunch is external modems are more reliable than internal modems so that one may work more seamlessly. I'm not so sure though, given my problems so far. I extracted the files for the second driver but I found just a bunch of ".sys" files. I didn't do anything after that. I am following the procedures available online for getting Windows 98 to work with USB 2.0. What else could I do to get my Windows 98 SE PC to work with USB flash drives? Do I just need drivers, or is some other change required? My main reason for needing USB 2.0 support is so I can load drivers onto a flash drive and transfer them to the Windows 98 computer to load drivers for the modem. I have a feeling I may need to do trial and error to get the right drivers, and given the capacity of a floppy disk that route would not really be practical. At the moment, however, floppy disks are the only thing working perfectly for me. Windows 98 typically uses FAT32, whereas later versions of Windows support NTFS. While it should recognize a flash drive at the low-level hardware no matter what file system is installed, it will likely not show it 100% correctly if it is using NTFS instead of FAT32. My advice is to format the flash drive on a newer computer/OS using FAT32 (instructions for 7 & Vista), put a few files on it and try it on the Windows 98 machine. 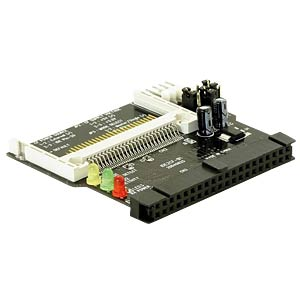 One solution is to use a USB-to-Floppy interface adapter. One brand of these is Gotek. You can even mount it in a drive bay, perhaps in place of the original floppy drive. The computer will think it's reading a floppy disk when it's actually reading a floppy image file on a USB stick. Windows 98 doesn't come with any drivers built-in for the USB Mass Storage class. Fortunately, there are some generic drivers available, such as from here: http://www.technical-assistance.co.uk/kb/usbmsd98.php. I found this site by searching the web for "windows 98 usb mass storage driver" - other sites are available with similar drivers. You'll need the version for Second Edition. This particular driver is a self-installing EXE file, so it's just a case of running the downloaded file and rebooting afterwards. I used them myself some years ago and can attest to the fact that they work, although there is a warning on the website that they may not work with all available USB mass storage devices. Back in the days of Windows 9x, the USB drives needed a special driver from their manufacturers (usually on small ~200 MByte format CD). But not many manufacturers provided them, limiting usable USB drives. The USB drives usually work in USB 1.1 ports too without any problems (apart the speed). Some of the newer USB drives still work with Windows 9x (usually those no-names 1-4 GByte). I still have my ancient Windows 9x compliant PQI Travel Disk (128 MByte USB Flash + SD card reader) working, so in case I need to transfer large amount of data to an old PC being repaired, I usually use its SD card reader as it supports cards up to 2GB and I still have some. You just use the CF card as a removable Hard drive. Old game consoles and some laptops use them instead of real HDDs. I still have one working in here. So you use one such adapter in your old computer and in the new one you just need a card reader, or another adapter if PATA is still an option. You can also use a network to copy stuff (COM/LPT LAPLINK/INTERLING or file sharing with TCP/IP LAN). You can find those in here How to patch binaries in DOS? look for MS-DOS (g)mouse and w9x USB stuff link. Such a configuration usually made workable a lot of no-name USB drives too (not just PQI). Sometimes it also helps if you set USB support in the BIOS (some BIOSes have multiple support settings for USB keyboards and drives I encountered once that wrong settings was messing up USB usage in Windows 9x). Also do not forget that you can use only FAT16/FAT32 formats. Not the answer you're looking for? Browse other questions tagged windows-98 usb compaq or ask your own question.